The 28th ASEAN Summit will begins on (06.09.2016) in Laos capital Vientiane. Leaders will review the progress of implementation of ASEAN Community Blueprints 2025. Several important documents aimed to improve lives of ASEAN people will be adopted highlighting the groupings commitment to realising the people oriented, people centered ASEAN. The ASEAN leaders will meet the heads of state, government of ASEAN dialogue partners including India, China, Japn, Korea, Australia and the US. Prime Minister Narendra Modi will arrive in Vientiane tomorrow to attend the 14th ASEAN-India Summit and the 11th East Asia Summit on Thursday. On the sidelines of the two summits, the Prime Minister will hold bilateral meetings with several leaders. The India's engagement with ASEAN and wider Asia Pacific Region has acquired further momentum following the enunciation of the Act East Policy by Mr. Modi. The Association of Southeast Asian Nations (ASEAN) is a regional organisation comprising ten Southeast Asian states which promotes intergovernmental cooperation and facilitates economic integration amongst its members. 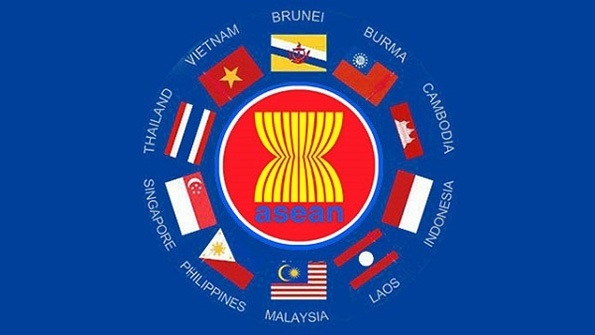 ASEAN formed on August 8, 1967. Brunei Darussalam,Myanmar/Burma, Cambodia, Indonesia, Laos,Malaysia, Philippines, Singapore, Thailand,Vietnam. ASEAN covers a land area of 4.4 million square kilometres, 3% of the total land area of Earth. ASEAN territorial waters cover an area about three times larger than its land counterpart. Member countries have a combined population of approximately 625 million people, 8.8% of the world's population. In 2015, the organisation's combined nominal GDP had grown to more than US$2.8 trillion. If ASEAN were a single entity, it would rank as the fifth largest economy in the world, behind the USA, China, Japan and Germany. ASEAN shares land borders with India, China, Bangladesh, Timor-Leste, and Papua New Guinea, and maritime borders with India, China, and Australia. Both Timor-Leste and Papua New Guinea are backed by certain ASEAN members for their membership in the organization.